AUGUSTA, Maine — Gov. 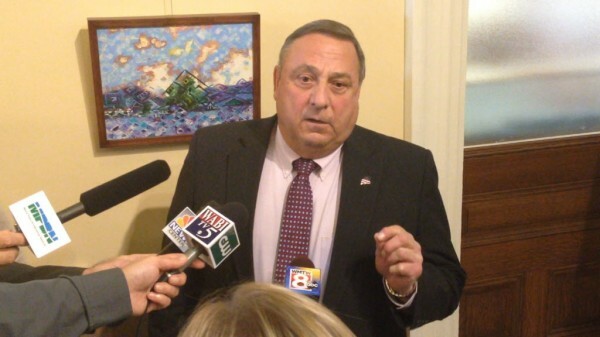 Paul LePage on Thursday announced that he and the five other New England governors have committed to a new plan for a cooperative, regional energy infrastructure. The goal of the agreement is “affordable, cleaner and reliable power for homes and businesses across the Northeast.” Among other things, the statements from each governor point to a fledgling plan to bring higher natural gas capacity to all of New England. The agreement for the Regional Energy Infrastructure Initiative was signed Thursday by LePage and Govs. Dannel Malloy, D-Conn.; Deval Patrick, D-Mass. ; Maggie Hassan, D-N.H.; Lincoln Chafee, I-R.I.; and Peter Shumlin, D-Vt. The region’s electric and natural gas systems have become “increasingly interdependent,” the governors said, creating a need for cooperative investments in energy efficiency, new and existing renewable generation, natural gas pipelines and electric transmission. The group also said cooperation would make the region more competitive and lead to improved air quality by reducing air emissions from burning fossil fuels. The governors committed “to continue to work together, in coordination with ISO-New England and through the New England States Committee on Electricity, or NESCOE, to advance regional energy infrastructure initiative that diversifies our energy supply portfolio while ensuring that the benefits and costs of transmission and pipeline investments are shared appropriately among the New England states,” the statement said. The governors directed leaders of their energy and environmental agencies to continue working together over the next few months — in cooperation with NESCOE — to develop a multi-state strategy that meets the states’ common energy goals. The statement is a first public indication that recent talks among the governors will result in a plan to align the energy resources and needs of New England and Canada with joint infrastructure projects throughout the region. Patrick Woodcock, director of the governor’s energy office, said Thursday that the commitment signed by the six New England governors on Thursday was a first step in pursuing a regional strategy that pursues that alignment. Maine has abundant wind resources and space for turbines, and southern New England’s appetite for renewable energy is on the rise. Conversely, Maine now has a law that asks state officials to look into the best options for bringing more inexpensive natural gas to New England; Connecticut and Massachusetts are closest to the Marcellus shale in Pennsylvania and New York where much of that gas is being extracted. In addition, most New England states are looking into jointly purchasing large-scale hydropower from Canadian resources — in Quebec, Newfoundland and Labrador — and Maine’s location puts it along the likely transmission route to southern New England, home to the bulk of the region’s demand.